This is a guest post by Sean Glaze, a team speaker and motivator. You can check out his blog, and follow him on Twitter. If you want to guest post on this blog, check out the guidelines here. 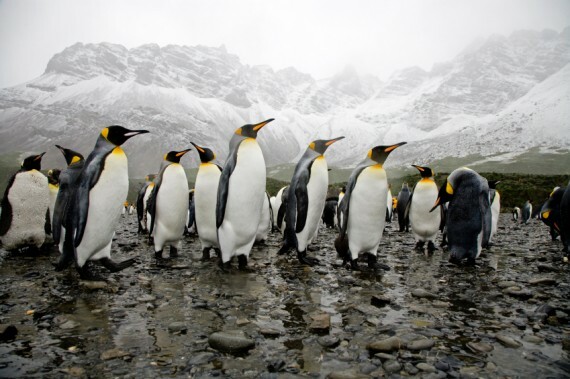 What do penguins have to do with leadership and changing your toxic team culture? More than you realize. The power of a few can influence the behavior of many. Leadership, as John Maxwell suggests, is really nothing more than influence. But when handed the reins of leadership and asked to turn around an organization that has been suffering from toxic team culture, it becomes difficult to keep Mead’s words in mind. Whether you are a coach taking over a perennial loser, a new principal at a troubled school, or a manager promoted to a new position over a group with low sales numbers, there really is hope! While I could point to another dry study or survey as evidence, the best illustration of how to change your team culture can be found at the San Francisco Zoo. A few years ago, something remarkable happened there that carries a leadership lesson for all of us. Be willing to try new ideas. This can shake up how people have done things in the past and lead to change. Changing others’ behavior is more about showing than telling. Penguins (and people) are less open to advice and suggestions than you would like to think. They need to see it and be given a challenge to live up to in order to change. Don’t give up.If six little penguins can turn a group of 46 lazy home-bodies into workout monsters, just imagine how you might influence the group that you have been assigned.Leadership truly is influence, and sometimes the most influential thing we can do is roll up our sleeves and work as hard as we want others to. Spend time sharing your vision, building relationships, and “swimming your laps in the pool” at your zoo. Pretty soon others will rise to the challenge and join you. One of the best ways to forge better relationships, clarify your team vision, and build leadership or communication skills is with a team-building event where your people have the time and opportunity to grow together and experience challenges that prepare them to collaborate and learn from each other. If you are looking to change the toxic team culture in your organization, or if you just need to give your people a chance to turn address a teamwork issue, the answer is often found in taking responsibility for what you can control: your own effort end example. Team motivation is often the result of one person being bold enough to shake up the status quo with an extraordinary work ethic or enthusiasm that spreads to the entire group. Andrew Jackson, our seventh president, is credited with saying, “One man, with courage, is a majority.” He became a national hero for his courage in the War of 1812, winning the battle of New Orleans despite being outnumbered and earning the nickname “Old Hickory” for his toughness. Sometimes a country, team, or even a group of penguins find themselves in need of leadership that is willing to show the way instead of making demands. By taking action and setting an example for others to emulate, you improve your culture, and give others permission to join the crusade, as well. Question: What’s an example in which you’ve shown instead of told as a leader? You can leave a comment by clicking here.